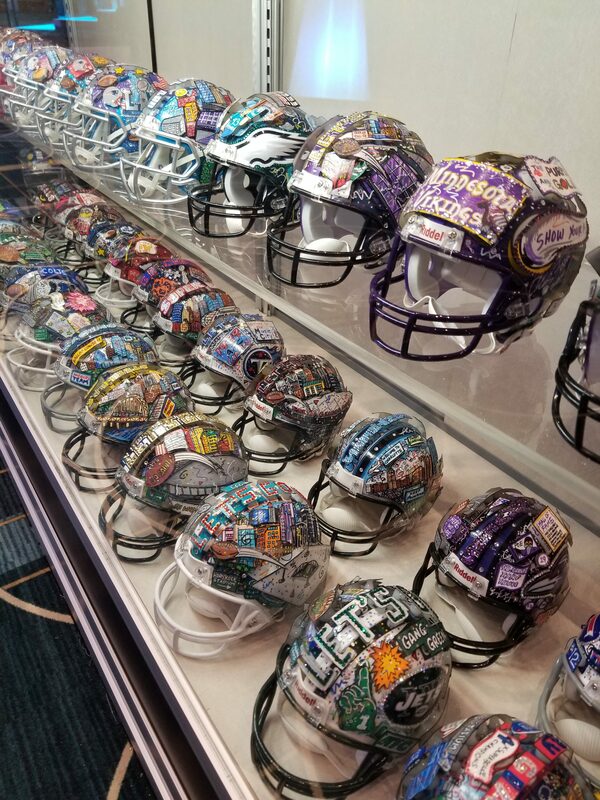 The collections can be found at the “NFL SHOP” at the NFL Experience in the Georgia World Congress Center and the Wentworth Gallery in Phipps Plaza, that’s where! 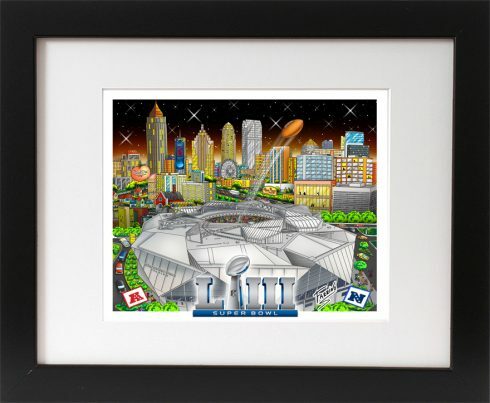 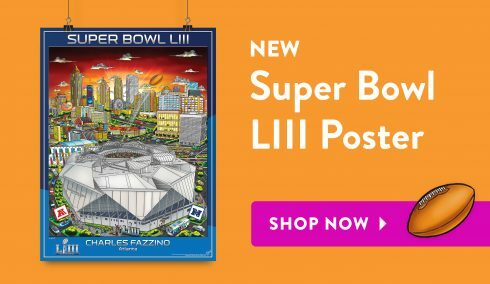 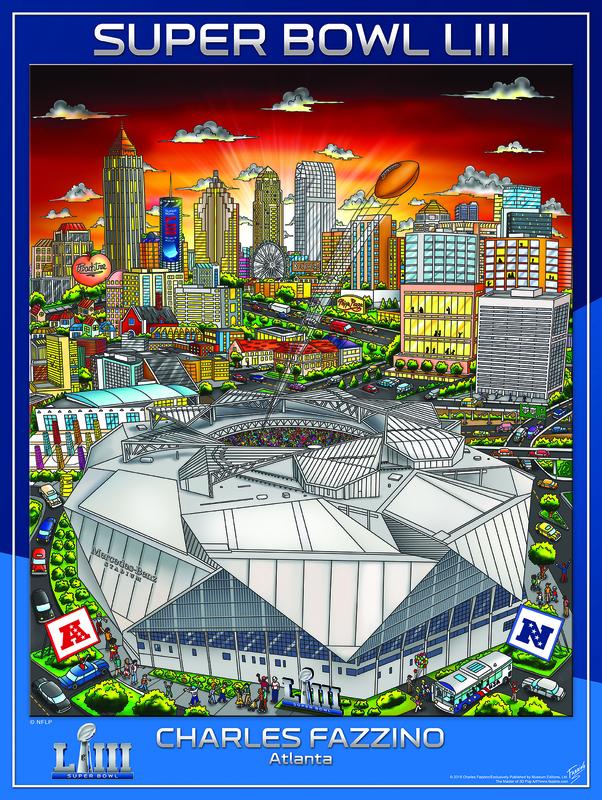 The NFL Shop will feature the entire Fazzino Super Bowl art collection and is open Saturday, January 26th through to Super Bowl Sunday, February 3rd. 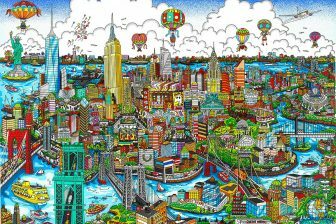 Charles Fazzino will be on hand for several hours each day beginning on Tuesday, January 29th. 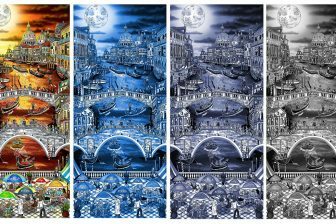 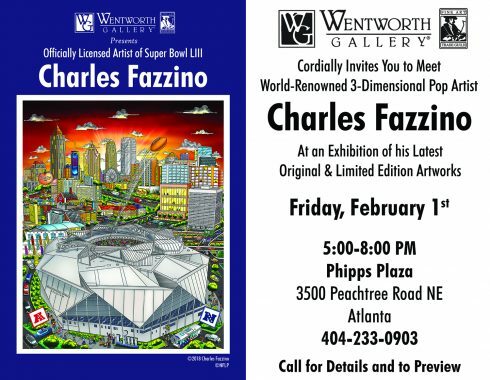 Wentworth Gallery at Phipps Plaza will host an exclusive appearance by Charles Fazzino on Friday, February 1st from 5 pm – 8 pm. 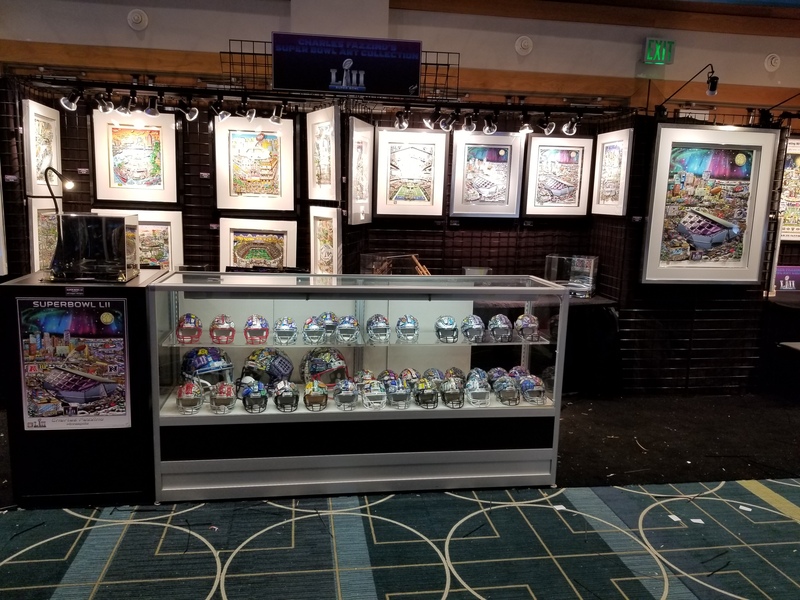 Not only will the gallery have the Fazzino Super Bowl art collection, but the entire current Fazzino library of 3D limited edition releases will be in display at this special gallery showing. 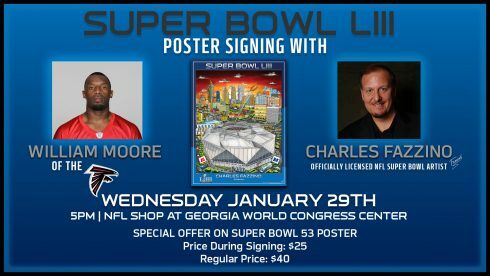 In addition, a few NFL superstars will be stopping by The NFL Experience to sign autographs with Fazzino including Atlanta Falcon William Moore (Wednesday, January 29th at 5pm) and Atlanta Falcon Desmond Trufont (Thursday, January 31st at 5pm). 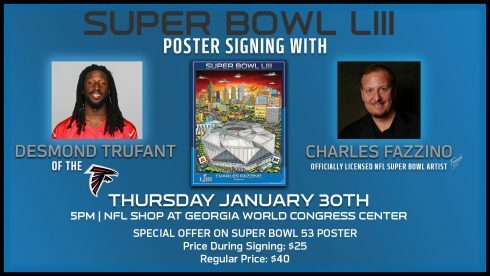 The Store is open to the public and you DO NOT NEED an NFL Experience Ticket to Enter. 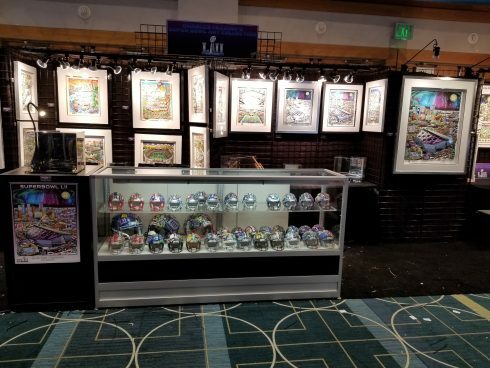 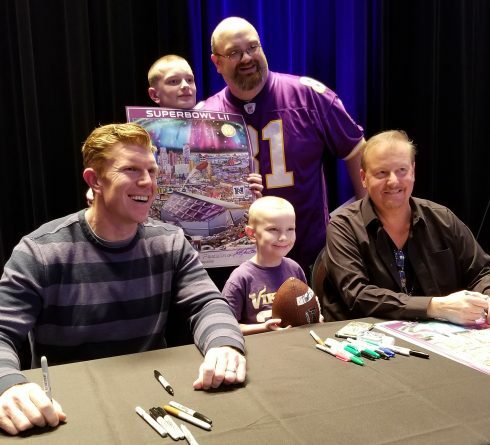 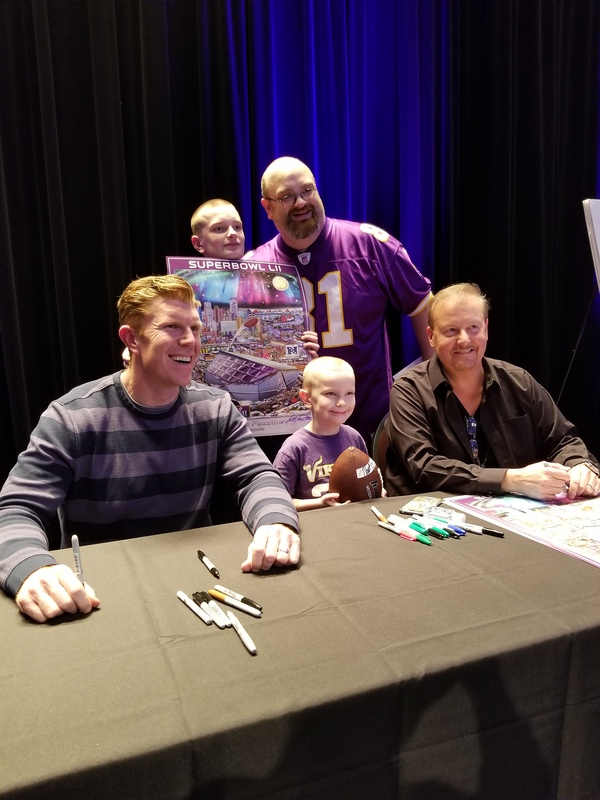 Tuesday, January 30th – Saturday, February 3rd – Appearing at NFL Shop at the Fazzino Super Bowl LIII Art Collection Exhibit, several hours each day TBD. 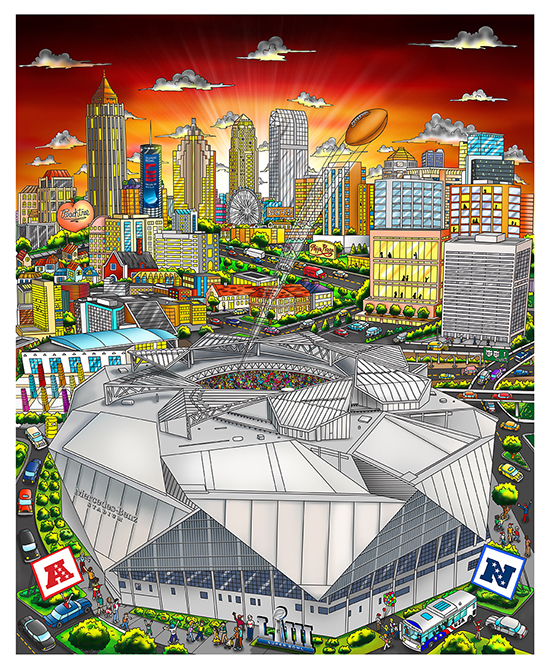 See Limited edition prints, hand-painted helmets, posters, and original works. 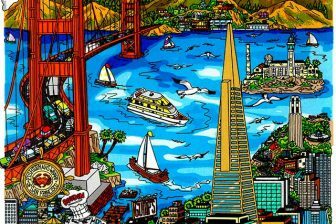 Join us at any of these events, contact your favorite authorized Fazzino gallery or email us at info@fazzinocollectors.com if you want more information about purchasing artwork from this one-of-a-kind, historic pop art collection.